Bringing your pet in for spaying or neutering at Carol Stream Animal Hospital is one of the best ways to ensure they have a happy and healthy life while also helping control the pet population. Here are some of the most frequently asked questions our Wheaton and West Chicago area vet gets concerning spaying and neutering pets. Q. Will my pet experience pain from spay and neuter surgery? A. Pets are safely anesthetized during the surgery to prevent any pain. 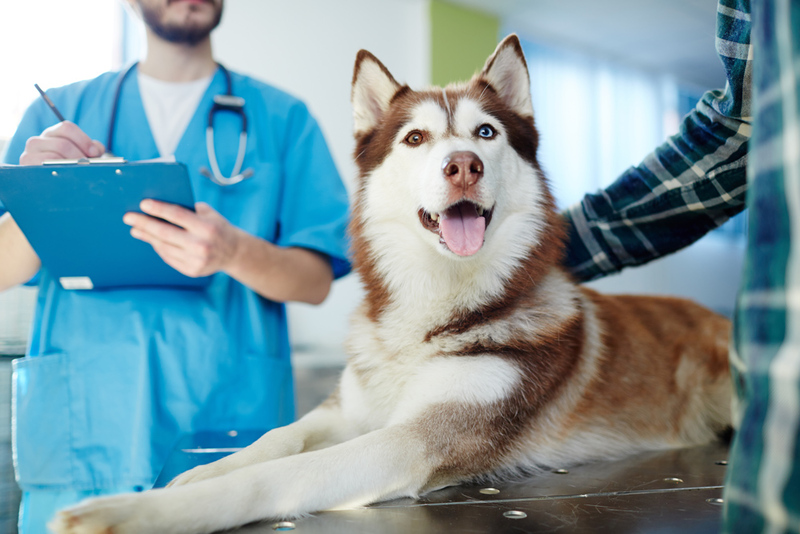 After the surgery, most pets will experience mild discomfort for a day or two, but our veterinarian provides pain medications to take home with your pet. There are typically very little to no side effects of the surgery. Q. Are spaying and neutering expensive? A. Spay and neuter procedures are very affordable, with males costing less than females due to the ease of neutering. There are also many low-cost or free spay and neuter clinics in the community to help pet owners get these services within their budget. Also, our vet is willing to work with patients financial needs and can help you explore local options for discounted spay and neuter services. Q. When should I spay or neuter my pet? A. Between three and six months of age is typically considered the optimal time for spaying and neutering most animals. However, pets can safely undergo the treatment even years into their life, but our vet recommends getting pets in as young as possible to maximize the health benefits of these surgeries. Q. Is it true that females should have one litter or heat cycle prior to getting spayed? A. Absolutely not. In fact, your pet is likely to enjoy greater health overall by being spayed prior to initial heat cycles or a pregnancy. Some pets actually become pregnant far too young, which can be a detriment to their health. This is particularly a concern for pocket pets, small pets and certain breeds that experience pregnancy complications. Q. What are the health benefits of spaying and neutering? A. There are a number of health benefits of these procedures. In females, spaying reduces the risks of uterine infections, mammary tumors, and cancers of the reproductive system. In male pets, neutering removes the testes, which reduces or eliminates the chances of pets contracting a prostate disease, testicular tumors, testicular cancer and perineal hernias. Q. Does spaying or neutering make pets less affectionate? A. In fact, it’s quite the opposite situation. Dogs and cats seem to be more content and calm and they tend to be more affectionate towards other pets and humans. Male dogs often show fewer signs of aggression after being neutered, as well. If you are looking for a reputable veterinarian serving Carol Stream, Wheaton, West Chicago and the surrounding communities, contact Carol Stream Animal Hospital today at 630-462-7888 to schedule an appointment.